Check Out This Amazing Tribute To The Legendary Custom Car Designer George Barris - 1925-1015! 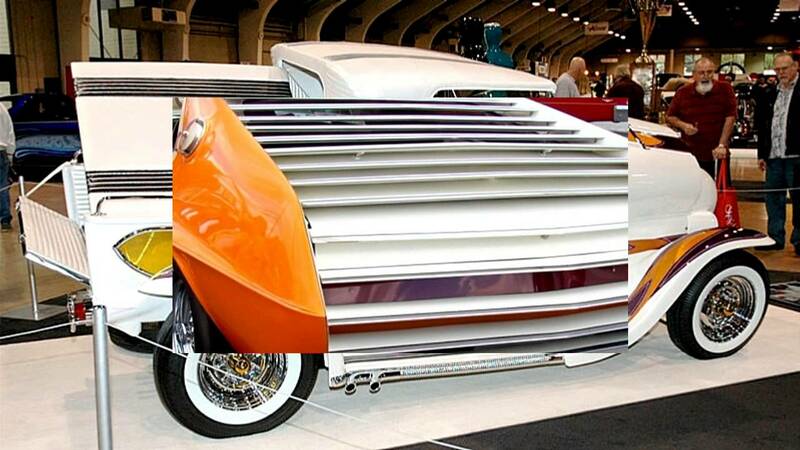 Check Out This Amazing Tribute To The Legendary Custom Car Designer George Barris – 1925-1015! George Barris is one of the most well known and highly looked upon custom car designers in the automotive industry and it was a sad day in 2015 when he passed away. In this video we get a look at some of his legendary and immaculate customized vehicles! George Barris was responsible for the frame of the original Batmobile, The Munster Koach and casket turned dragster for The Munsters, an Oldsmobile Toronado turned into a roadster used in the first season of Mannix, a 1921 Oldsmobile touring car turned into a truck for The Beverly Hillbillies, updated KITTs for later seasons of Knight Rider and replicas of 1914 Stutz Bearcats for Bearcats! Barris’ mark was left in pop culture and automotive history forever! To check out his fine work click below!